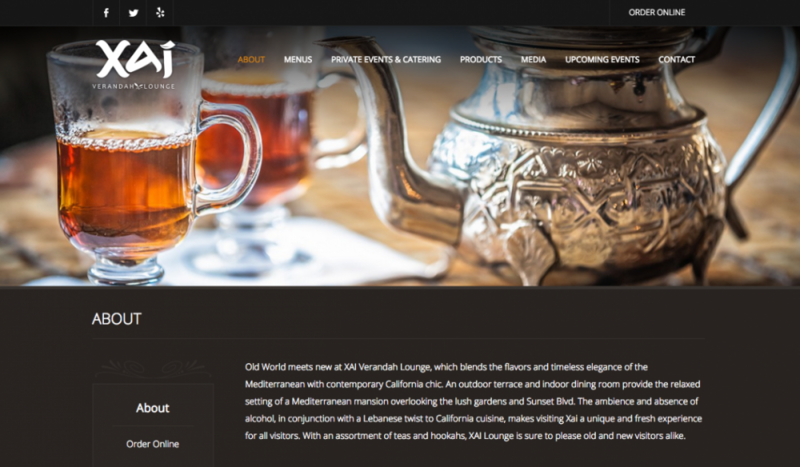 XAI Verandah Lounge is a Moroccan restaurant and hookah lounge located in Los Angeles, California which blends the flavors and timeless elegance of the Mediterranean with contemporary California chic. This project was a redesign of a an old Flash site that TVI built for XAI several years ago. Utilizing current development standards, the new responsive site is accessible for desktop, tablet, and mobile users. Features include a CMS, large header images to display the beautiful photography, customizable HTML menus, and an events calendar with filtering by date and category, as well as search functionality.